Can I migrate categories and products SEO URLs from WooCommerce to Magento? Yes, you can migrate SEO URLs from WooCommerce to Magento by picking “Migrate categories and products SEO URLs” additional option. Q: Can I get rid of .html suffix at the end of my product and category links on Magento? By default, product and category URLs on Magento have .html suffix at the end. However, you can remove it manually via your Magento Admin Panel. 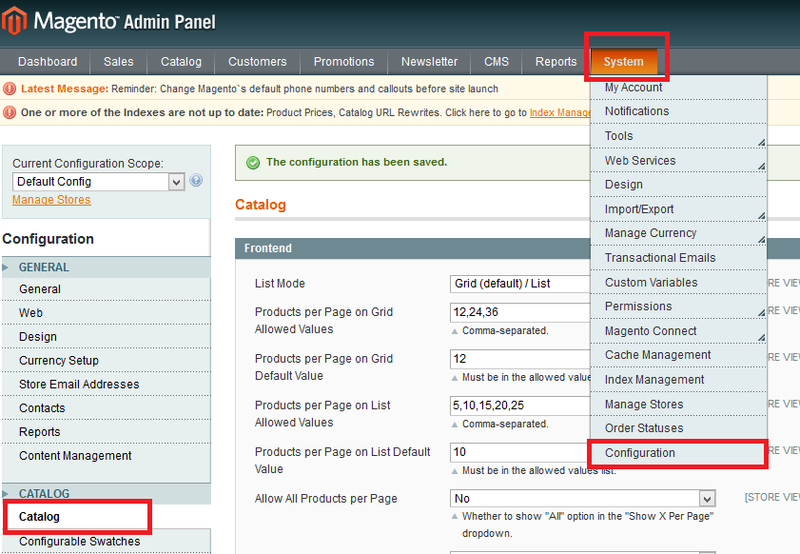 To do this, login your Magento Admin Panel and go to: System -> Configuration -> Catalog (from the menu on the left) -> Search Engine Optimizations. Here, delete the .html suffix from the “Product URL Suffix” and “Category URL Suffix” fields and leave them empty. Save the changes. Afterwards, it’s obligatory to clear your Cache and perform Reindex to apply the changes. Please, see detailed instructions on how to do that. Q: Can I remove /index.php/ from my product and category links on Magento? Again, by default, all Magento product and category URLs have /index.php/ within their structure. To remove /index.php/ from the URLs, you need to modify your .htaccess file. Afterwards, it’s recommended to clear your Cache and perform Reindex. Please, see detailed instructions on how to do that. Q: My products on WooCommerce had /product/ within their URLs, but there’s no /product/ part on Magento. What should I do? WooCommerce and Magento have different URL structures, so all your new products created on Magento won’t have the /product/ part in their links. However, for SEO purposes, you may set mass redirect, from, for example, http://woocommerce-store.com/product/pillow-spray/ to http://magento-store.com/pillow-spray and all the other products migrated to from WooCommerce to Magento. To do so, you’ll need to modify your .htaccess file once again. In both cases, there’s should be your Magento store’s URL instead of http://magento-store.com/. Please note that there should be “$1” in the end of the URL, as it’s given in the example above. As the result, the manipulations described above will allow us to preserve search engine rankings and avoid losing referral / direct traffic through old URLs. All customers trying to reach your products via old WooCommerce URLs (i.e. http://woocommerce-store.com/product/pillow-spray) will be redirected to new Magento URLs (i.e. http://magento-store.com/pillow-spray) without .html or /index.php/.